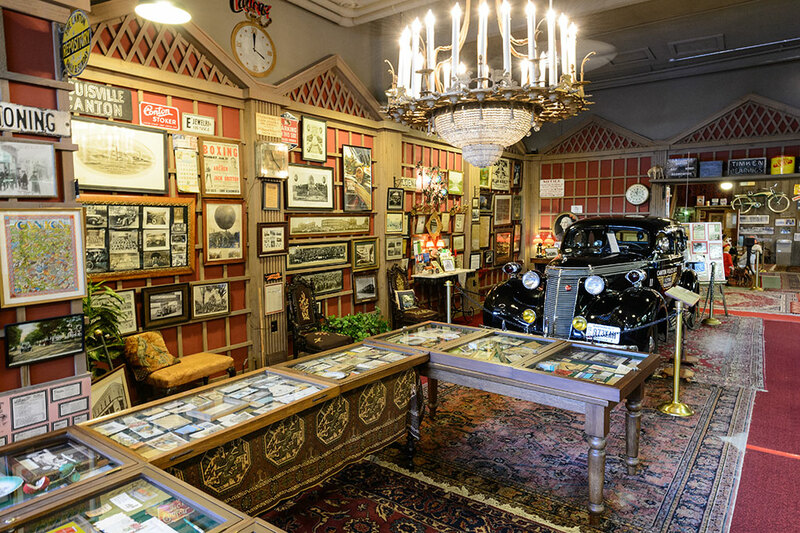 The first couple of rooms of the museum houses a large collection of automobile collectibles. 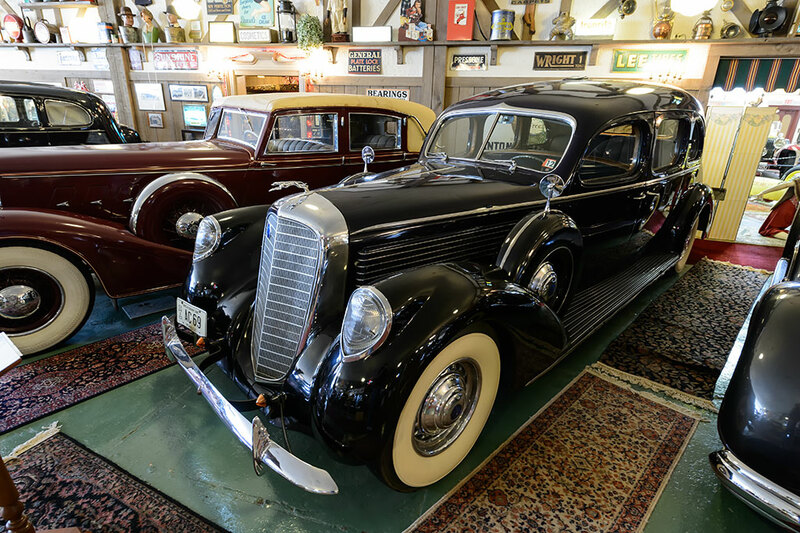 But you are soon into the cars and maybe none more interesting than a 1937 Studebaker President Bullet-Proof Police Car. The bullet-resistant window glass is more than an inch thick and each window has gun ports! That's something you won't find in every museum. Continuing on you are assaulted by more cheesy mannequins along with more interesting collectibles. 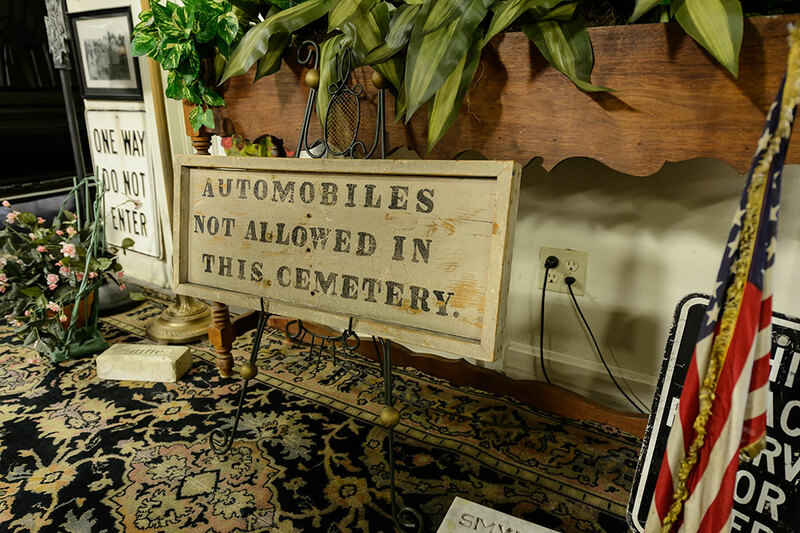 It's all in fun and you can't help but giggle at some of the displays. 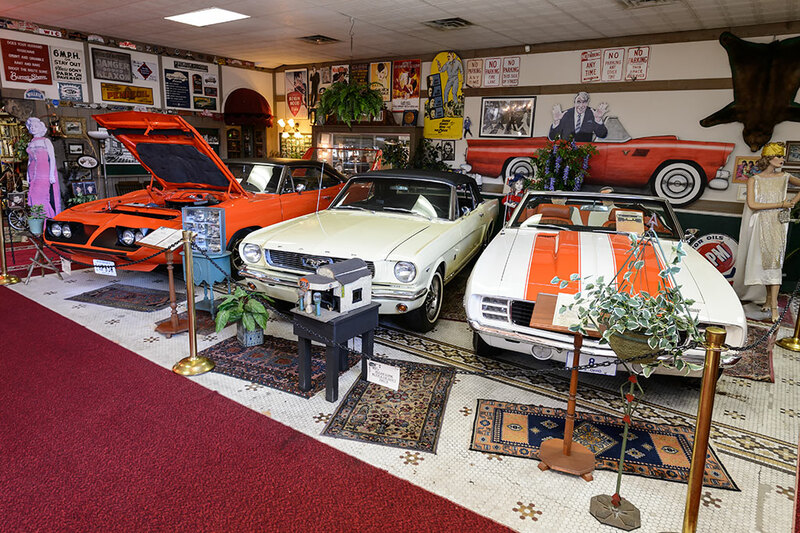 A few muscle cars can usually be found on display including a 1969 Chevrolet Camaro RS/SS Pace Car. 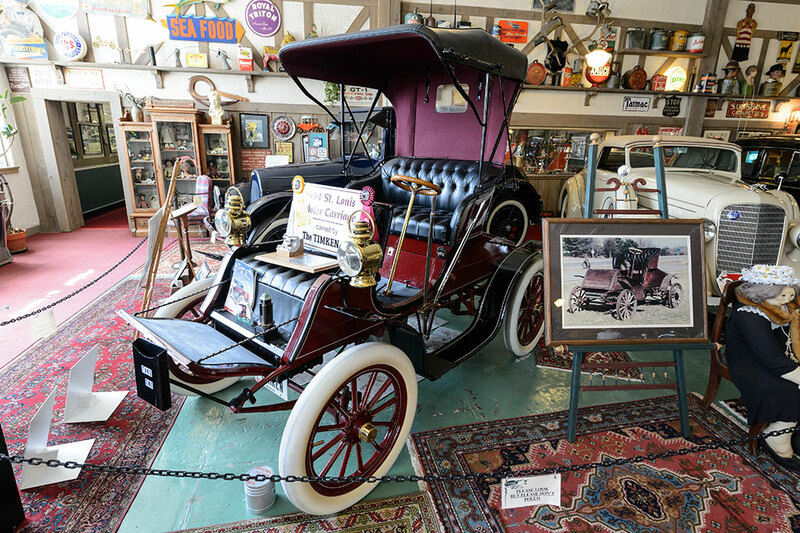 The museum also displays some rare cars such as a 1904 St. Louis Carriage owned by the Timken Company. 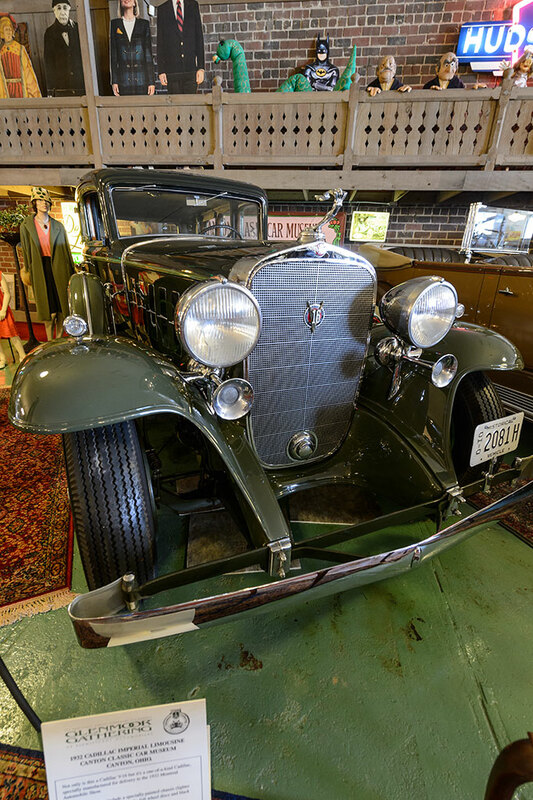 This car was the first model to use Timken bearings and is one of eight still known to exist. 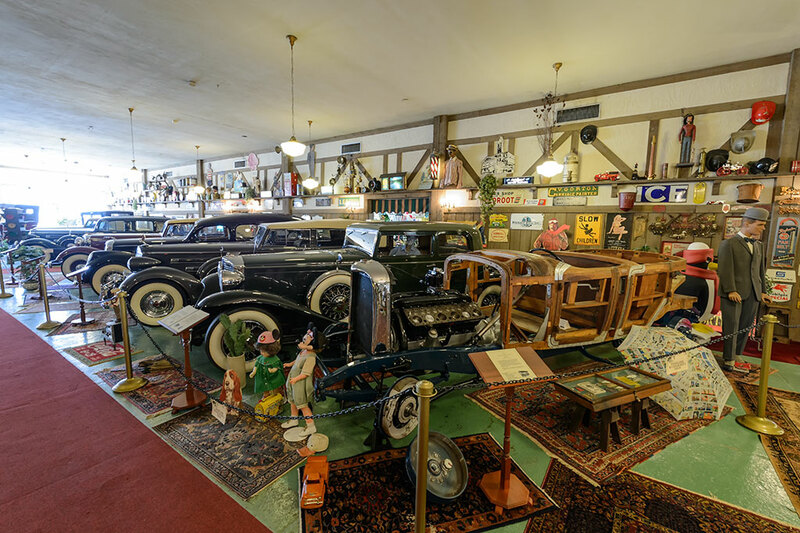 There are plenty of large vintage automobiles on display. 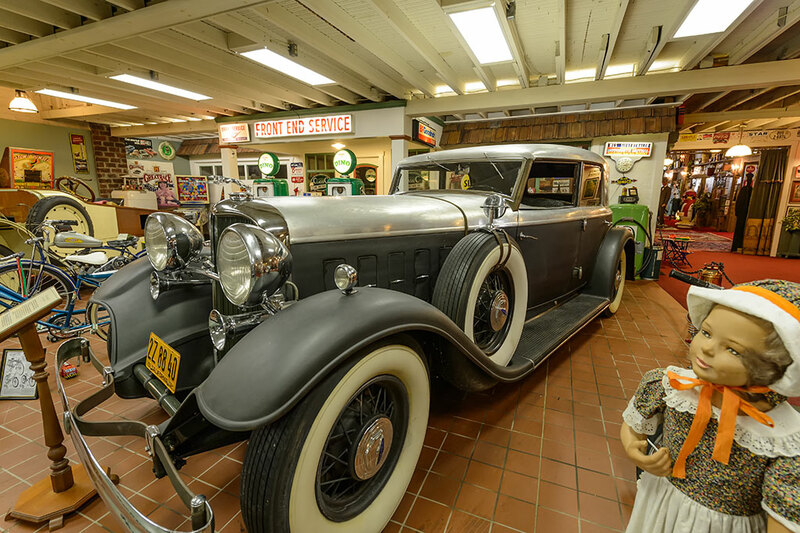 Some include a 1939 Lincoln K Sedan Custom, a 1932 Cadilla Imperial Limousine, and a 1932 Lincoln KB once owned by Admiral Byrd. 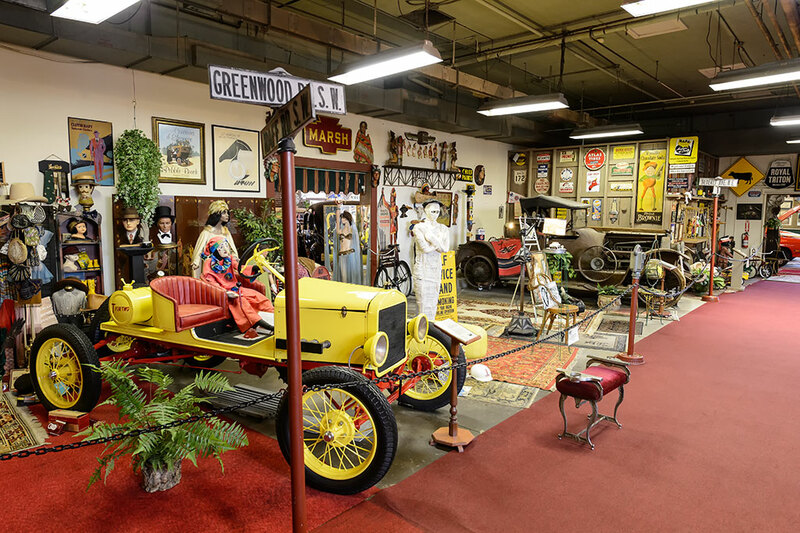 The Canton Classic Car Museum occasionally swaps in displays so you never know what you might see. 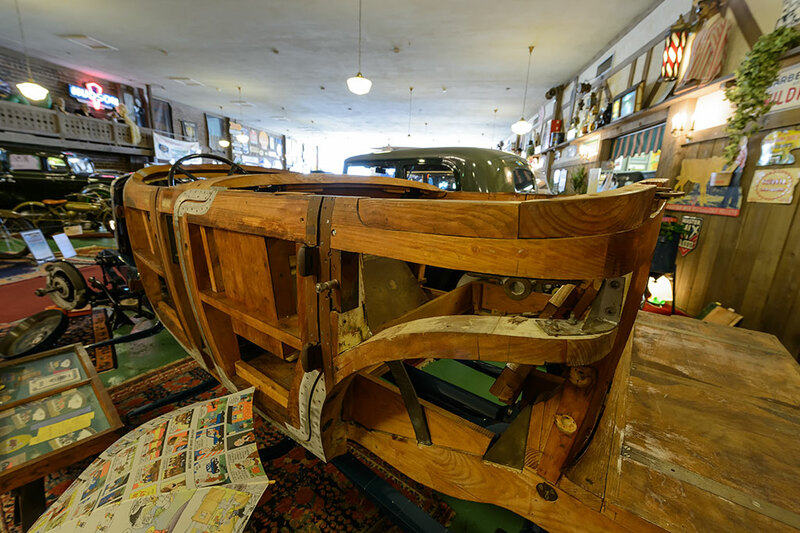 On our visit we were lucky enough to be able to view a 1932 Lincoln KB chassis under restoration. 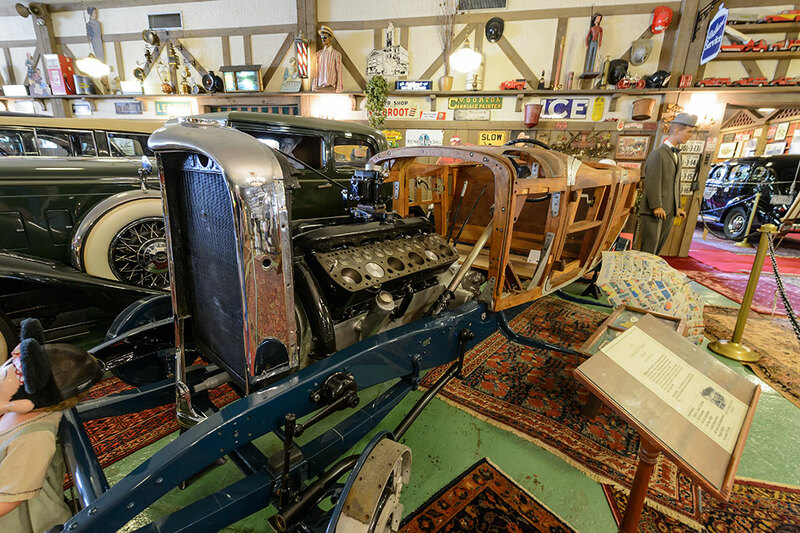 This automobile was originally built for Edsel Ford. 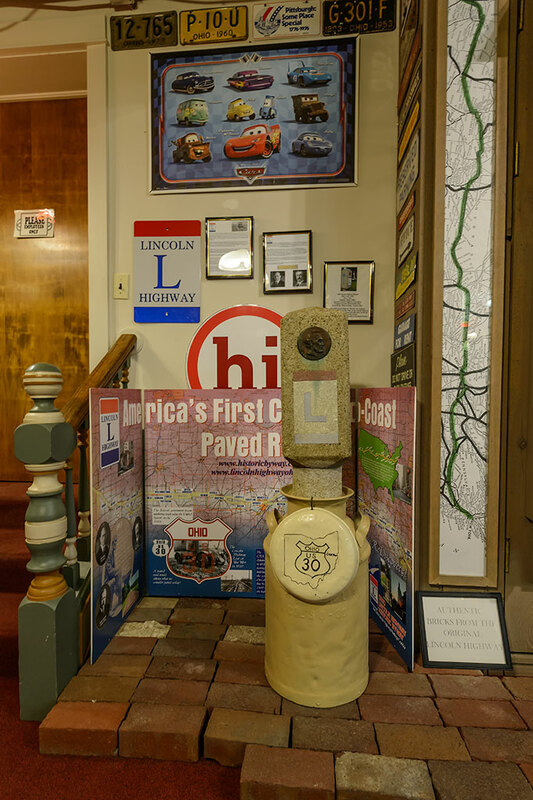 Bringing us full circle is a small display area with information about the Lincoln Highway. 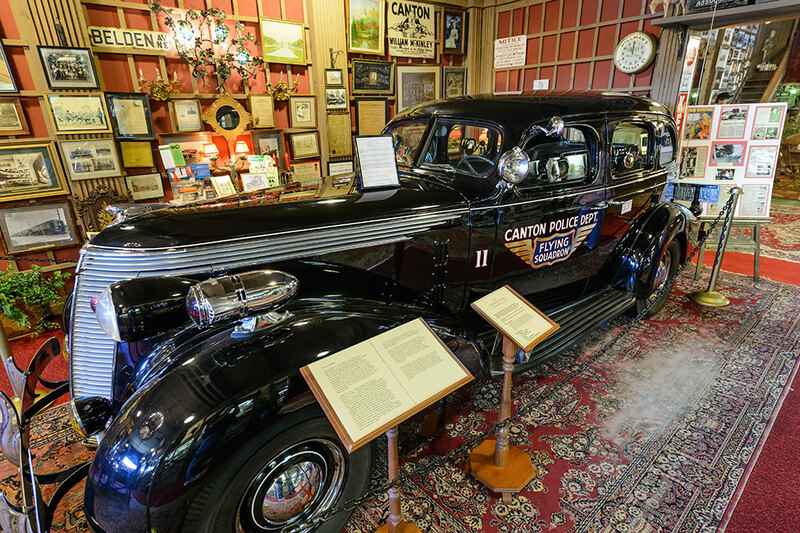 We enjoyed our stay at The Canton Classic Car Museum. The cheese made us smile and we were able to see some cars that we had never seen before. 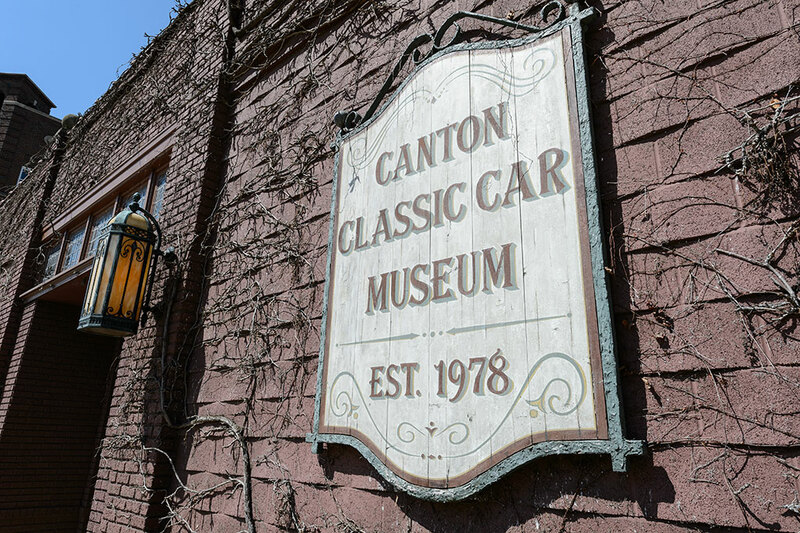 It's worth a visit if you are in Canton.